BMW 2-series information: everything you need to know if you are thinking of buying one or just want to find out more about the two-door coupe and convertible 2-series, and the Active Tourer range. Click on the links below for all of CAR magazine’s news, reviews, videos, scoops and spy photos of the BMW 2-series car range. The 2-series badge was born in 2014 to distinguish the more sporting two-door derivatives of what used to be the 1-series. The rear-wheel drive coupe and convertible are still the bedrock of the Two range, but they've now been joined by the front-wheel drive 2-series Active Tourer and Gran Tourer MPVs. The latter is the first seven-seater MPV ever made by Munich. This used to be called the 1-series Coupe and Convertible, but was renamed in line with the new 4-series sporting derivatives. In a nutshell, the sportier models now adopt even numbers (2, 4, 6) while odd numerals are reserved for the heartland saloons and estates (1, 3, 5, 7). 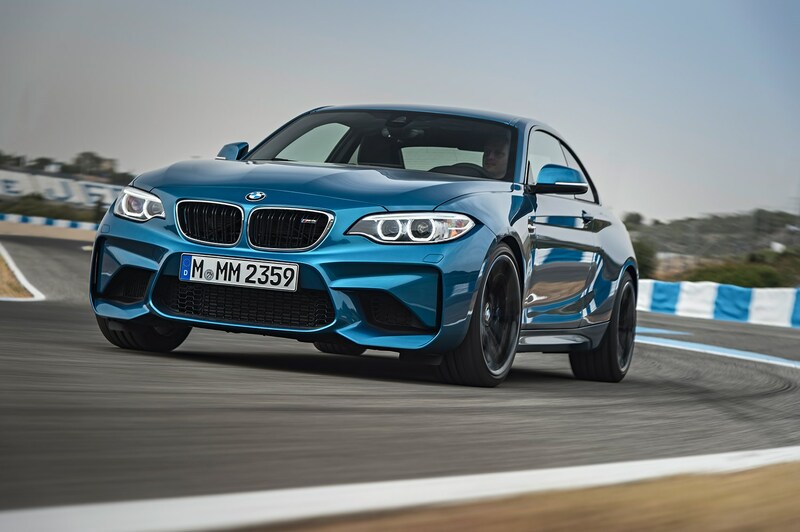 Cerebrally, this nudges the 2-series up a peg or two in most buyers minds, and they won’t be disappointed. The Coupe and Convertible are very effective compact vehicles, offering rear-wheel drive thrills, fun handling and quality cabins. The new 2-series Active Tourer rides roughshod over the naming convention; it’s a sensible people carrier - from BMW! - and adopts the new, Mini-family-related front-wheel drive architecture. As you might have fathomed, it breaks a few Beemer taboos, then, but it’s actually a remarkably effective MPV. The handling feels as sharp as the class best (step forwards Ford C-Max) and the longer-wheelbase seven-seater Gran Tourer packs more useful space in - even if it did have a brush with the ugly stick at birth. The BMW 2-series range has something for everyone: find the 1-series hatchbacks too stodgy and dull? Then the sleeker two-door coupe bodystyle could be just the thing. Fancy some fresh-air thrills? The convertible opens up a whole world of new possibilities. And then the MPV duo add in extra practicality in a taller, more upright silhouette. Thankfully, every model comes with sharp driving dynamics as standard - even the FWD people carriers have a dash of dynamism lacking from many family buses. New engine, no Batman's breastplate kit. M who? The brilliant M235i loses its roof; does it keep its appeal?